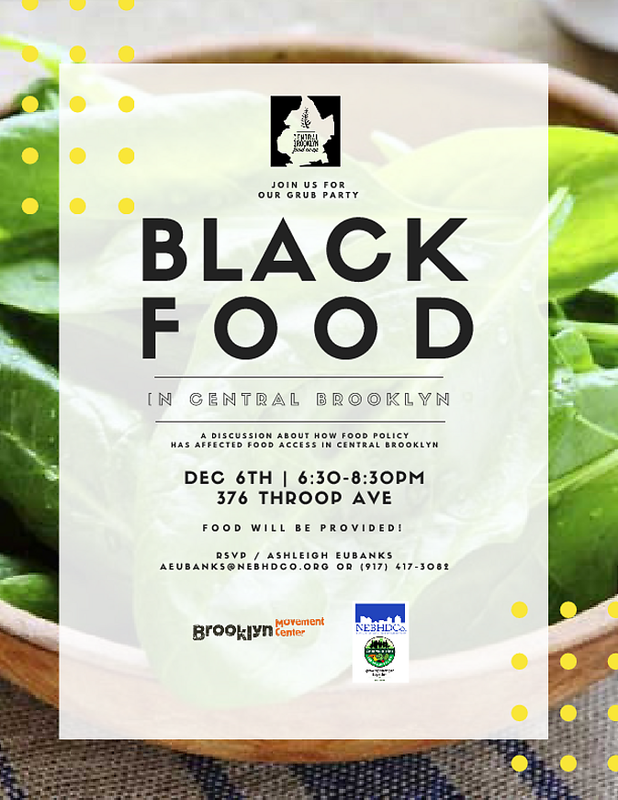 Join the Central Brooklyn Food Co-Op for food and a discussion on how food policy has affected food access in Central Brooklyn. You'll also be able to learn more about the CBFC and our work thus far! Food will be provided by a NEBHDCo community chef and there will be vegan options available. RSVP to Ashleigh Eubanks at aeubanks@nebhdco.org or (917) 417 - 3082.